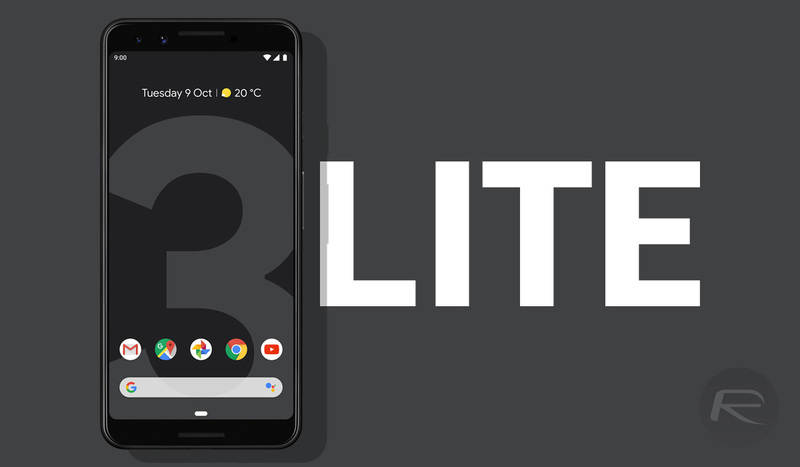 There have been rumors of a less costly version of the Pixel 3 for some time now, and a new video leak may have given us a great look at what the so-called Pixel 3 Lite will look like. The video, courtesy of Andro News, who apparently got hold of a pre-production handset, shows the Pixel 3 Lite in all its glory. Unfortunately, the video has already been taken down, but we did manage to get a look while it was still up. At first blush, what the video alleges is the Pixel 3 Lite looks very much like a standard Android device, the likes of which we’ve seen before and it definitely looks similar to a standard Pixel 3. Things start to look differently around the back though, with the plastic back panel giving the phone away. Existing rumors have the phone shipping with an LCD panel to save money, measuring at 5.56-inches with a resolution of 2,220 x 1,080. A Snapdragon 670 CPU will also go some way to saving money, too. According to previous reports, the Lite version of the Pixel 3 will have the same 12-megapixel camera as the Pixel 3, and if that’s accurate, then this thing will surely kick out some impressive photos. 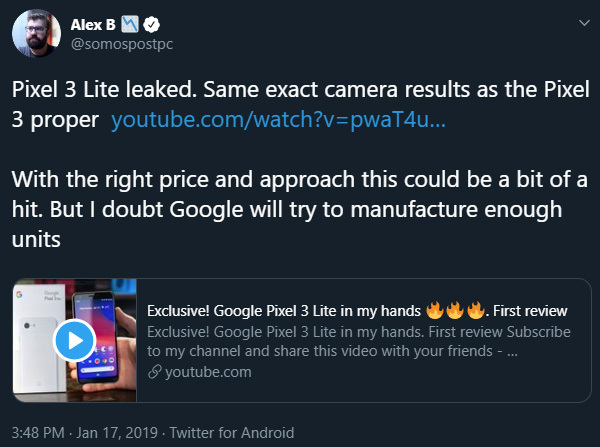 Andro News appears to corroborate this, claiming that the phone in their hands tales images of “the same quality” as the Pixel 3. Leaks or not, one thing we don’t know is price. We’d expect it to start below the iPhone XR’s $749, considering the standard Pixel 3 sells for $799. That could make this new Pixel quite the bargain, especially if you think you can get your money’s worth out of that impressive camera. looks like an original pixel with updated internals and a better camera. exactly what i want.